Nice combo of headline and ticker. 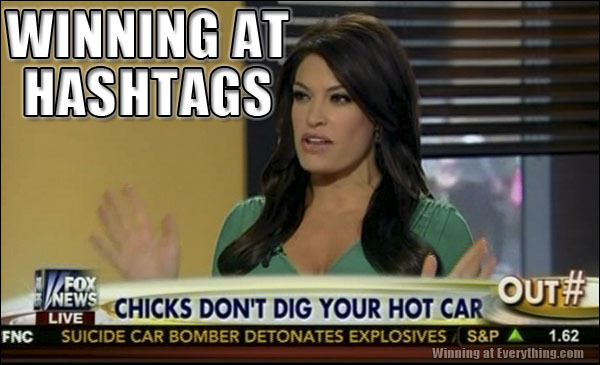 If the car is hot in a “suicide car bomb” way, then I’ll have to agree, as a chick I do not dig that kind of hot car. The suicide bomber was in a ’57 Plymouth Fury. There was no shrapnel. The suicide bomber was in an ’83 Yugo. There was no shrapnel. My Pontiac Aztek is the bomb! The ol’ man’s ride is a 79 Buick Regal (when he’s not driving a Peterbilt). That car is hot, hot, hot! Really. The air conditioner is crap. It’s HOT.